Generalized linear models provide a unified way to fit responses that do not fit the usual requirements of traditional linear models. For example, frequency counts are often characterized as having a Poisson distribution and fit using a generalized linear model. The Generalized Linear Model personality of the Fit Model platform enables you to fit generalized linear models for responses with binomial, normal, Poisson, or exponential distributions. The platform provides reports similar to those that are provided for traditional linear models. 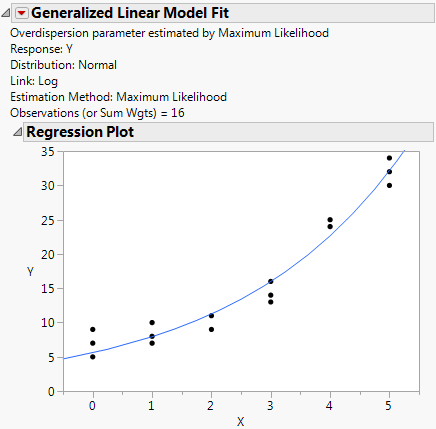 The platform also accommodates separation in logistic regression models using the Firth correction.